The first great horror story "The Strange Case of Dr. Jekyll and Mr. Hyde" appeared in 1886 and was a literary sensation. 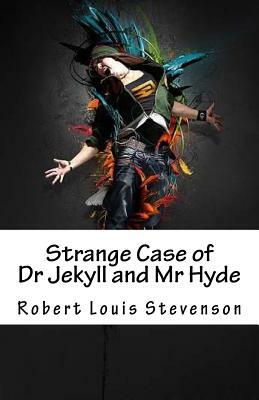 Robert Louis Stevenson was at the heights of his powers when he penned this chilling tale that shocked Victorian readers. Over a century later, the short dark story remains deeply disturbing. The classic work is commonly known today as 'Dr. Jekyll and Mr. Hyde' or simply 'Jekyll & Hyde.' It is about a London lawyer named Gabriel John Utterson who investigates strange occurrences between his old friend, Dr. Henry Jekyll, and the evil Edward Hyde. Stevenson's novella work is commonly associated with the rare mental condition often spuriously called "split personality," referred to in psychiatry as dissociative identity disorder, where within the same body there exists more than one distinct personality. In this case, there are two personalities within Dr Jekyll, one apparently good and the other evil; completely opposite levels of morality. The novella's impact is such that it has become a part of the language, with the very phrase "Jekyll and Hyde" coming to mean a person who is vastly different in moral character from one situation to the next.